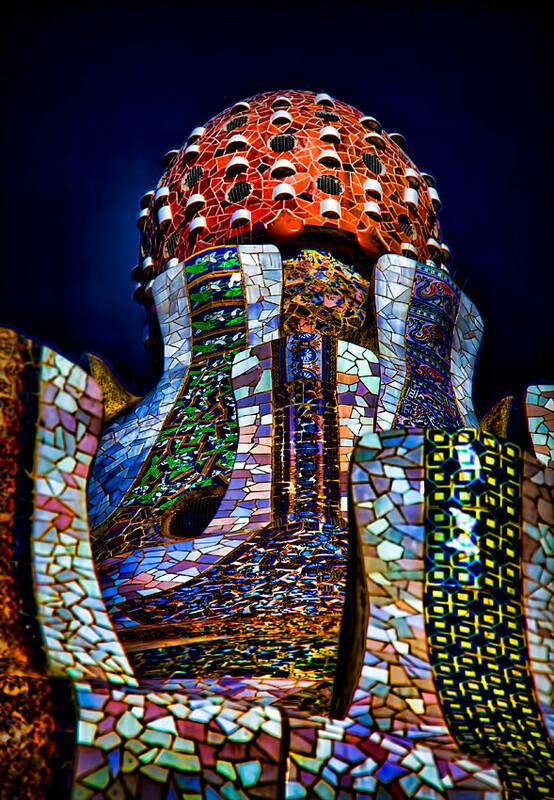 Trencadís is a type of mosaic used in Catalan modernism, created from broken tile shards. The technique is also called pique assiette. This mosaic is done using broken pieces of ceramic, like tiles and dinnerware . Modernist architects did an extensive use of ceramics, but Antoni Gaudí propose an unconventional method. He covered his three-dimensional architecture with glazed ceramics of different shapes and colours, which created brightly coloured patterns. For the task, he used discarded pieces of ceramic tiles collected from the factory "Pujol i Bausis" located in Esplugues de Llobregat, and pieces of white ceramic from broken cups and plates discarded by other Spanish manufacturers.